I use this double handle griddle for so many things. Pancakes, grill cheese sandwiches, breaded cutlets; it is great, and cooks so well. 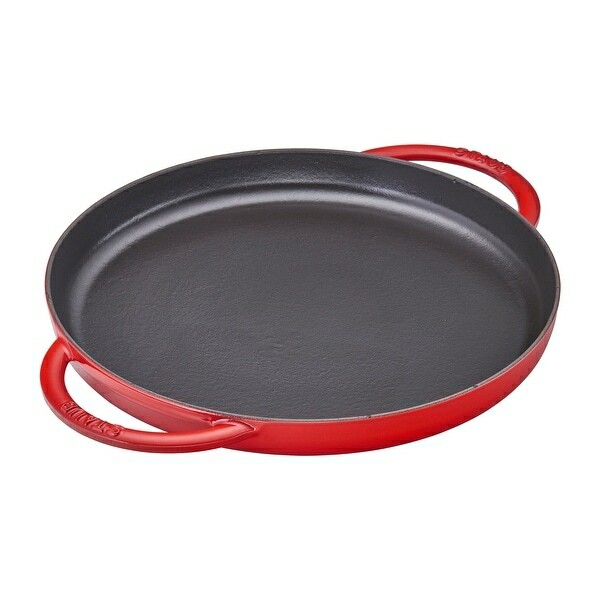 I love the color of this pan also, a true red. Love it! Terrific size. All Staub products are great. So easy for saute with not being so deep. Love it, use it practically daily. So easy for clean up just soap andwater and everything comes off easily. Staub stands behind all of their products. Great company.